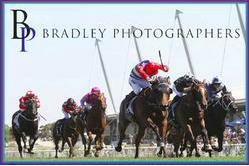 Kim Waugh Racing Stables :: Tip Top Training Performance from Kim on Saturday at Rosehill! Tip Top Training Performance from Kim on Saturday at Rosehill! Kim's great talent as a trainer was seen to perfection on Saturday at Rosehill when Our Century (pictured) resumed from a spell with an exciting win in the 1900m Open with Jason Collett in the saddle! No easy feat to resume and win over the 1900m journey that's for sure! 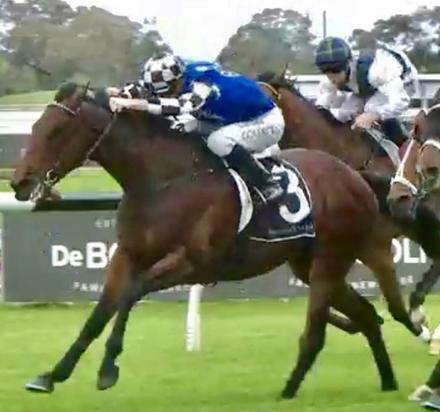 Once again a lovely ride by Collett who has a 100% winning record on the son of Montjeu who is on target to run next in the Listed 2000m ATC Cup back at Rosehill in two weeks time. The stable almost captured a winning double but were left to lament what could of been when the talented Newsfan finished 2nd by a whisker, being in front a stride past the post after settling off the pace in a muddling run race. She too will run on Saturday week at Rosehill. Well done to all our owners and the team at Kim Waugh Racing!